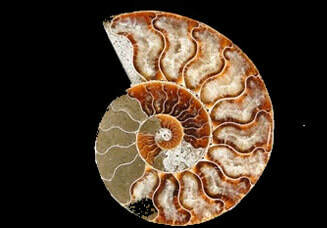 ​Fossil Shack offers the highest quality fossils for sale anywhere and sells them at the lowest prices possible. 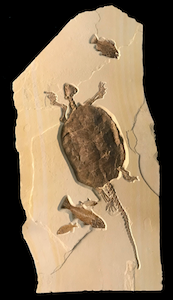 All of our fossils are 100% authentic and each has been scientifically identified by our team and comes with its own certificate of authenticity. 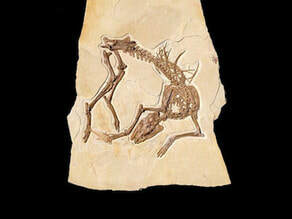 We prepare most of our own fossil specimens and work only with other reputable individuals in the fossil industry. We also run our own quarries and strive to provide the best fossils on the market, along with the largest variety. Select from the categories above to find that one-of-a-kind fossil that will begin or complete your collection. You are safe when you buy fossils from us. Check out Our Amazing new Turtle! $6 USA Shipping on all USA orders! We have just updated our entire website to prepare for the coming holiday season. The look are feel are different than they have been in the past, but we feel that it will enhance your customer experience. Please feel free to browse our site, and give us feedback on the new design and shopping cart features. Thank you for shopping with us at Fossil Shack and enjoy the best nature has to offer. Over the next couple of months we will be adding a large selection of new items and think you will enjoy the quality. Come Dig & Keep Real Fossils with us!!! We have launched into a new frontier with our American Fossil FishDig Quarry in Wyoming. This is your opportunity to dig and keep all of the fossils you find. There is no other quarry that offers you the opportunity do keep every fossil you find. This is the same quarry where "Olive" the incredible 3-Toed horse was found, the ancient bat Onychonycteris finneyi, several crocodiles, turtles, hundreds of stingrays, and many other incredible fossils. We have packages designed to meet any budget, and even have leases for 10 days, 30 days, or the full season.. This year alone we have found 1 bat, 2 birds, 3 turtles, 10 Gar, 8 paddlefish, dozens of stingrays, and much much more. Be sure to dig with us before the season ends . You can schedule and reserve your trip right on our website. We also offer special pricing for long-term quarry leases, scout groups, rock clubs, and more. This is the only quarry where you can keep every fossil you find, and you will find a lot of fossils. We have just finished up an incredible mosasaur skeleton and have it on its way to our clients over seas. 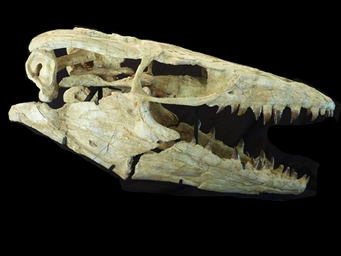 This amazing little mosasaur is 14 feet long and is an incredible specimen. It would have ruled the sea at the same time T-Rex ruled the land. These amazing animals could reach up to 60 feet in length. 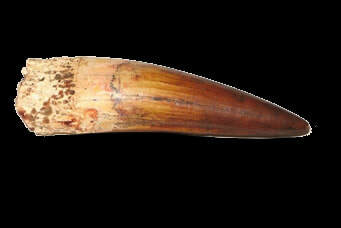 We also currently have another mosasaur skeleton that is over 24 feet in length and is a real prize. 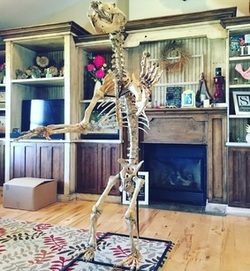 It is the kind of skeleton that does not hit the market often and can be mounted in a position of your choosing. You will always be happy when you buy fossils from us. 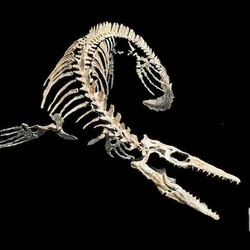 We currently have a 25 foot long mosasaur skeleton that can be purchased and mounted in a pose of your choice. It will be an incredible piece and can be mounted to fit nearly any area you have in mind and look very dramatic. We would like to welcome our newest addition, Penelope the Cave Bear. Penelope comes to us from Romania. She was emigrated into the country in 2005. She is nearly 100% complete and comprised of nearly a single individual. She has had very little repair and restoration done to her so as to keep her just the way she came out of the ground. She is nearly 8 feet tall and very large for a female bear. Penelope will soon be up for public display as part of our partnership with the thanksgiving Point Museum of Ancient Life in Lehi Utah. Be sure to stop by and check her out, along with our other amazing fossils on loan to the museum including Dire Wolf Skulls, Olive the three toed horse, a giant Torvosaur, and many more. This fantastic exhibit will close in July, so hurry fast before it is gone. We have just added what is already one of our most popular items to the store. 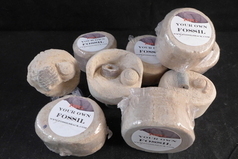 Get your own Dig your own Fossil Kit. These amazing kits allow you to dig your own authentic real specimens. Each kit may vary and you just never know what you are going to get inside. These are the perfect gift for people of all ages and abilities. They promise to be hours of fun and are great projects for children, at parties, get-togethers or any other occasion. Get yours today for just $7! 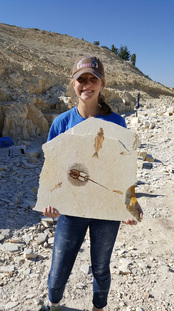 We just finished up the preparation work on a giant Mioplosus from our large Wyoming Quarry in the Green River Formation. It is a monster, over a foot in length. They do not often find any larger than this fish in the split layers, making this a rare treat. 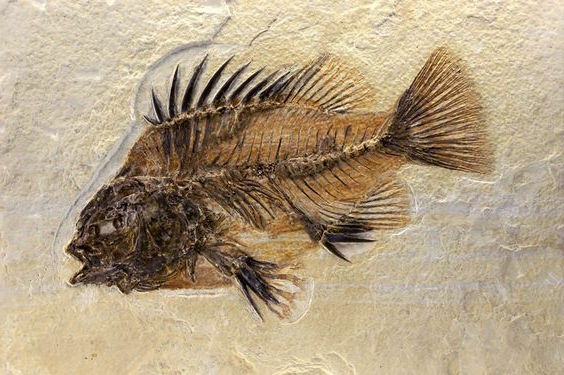 This beautiful fish is related to modern Perch but lived 50 Million Years Ago in Southern Wyoming and Northern Utah in a series of giant lakes. These are some of the most uncommon fish to find in the formation and are very desirable in the collector market. We have posted this spectacular fish on the website, along with a short description and it is priced to sell quickly. We have also begun our 2016 digging season at the fish quarry. We will be pulling many new fish from the quarry and getting them ready for the website over the coming months so stay tuned. Be sure to come out and dig with us this season. We are currently blowing out some of our most popular trilobites, the Elrathia Kingi trilobites fossils for sale from Utah. 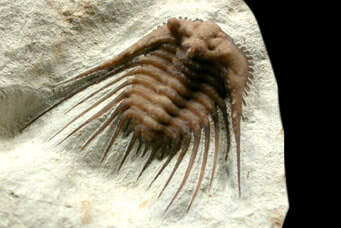 These amazing trilobites were dug by our team and have all been lab prepared. These are some of the highest quality on the market and make great additions to all collections. Their prices have been greatly reduced and we expect them to sell out quickly so get yours now. You can also order them in bulk by contacting us. 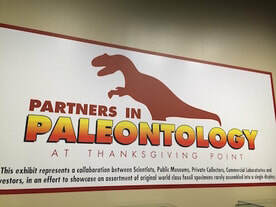 Fossil Shack has recently partnered with the Museum of Ancient Life at Thanksgiving Point, Fossilogic and others in the industry to create a fantastic Public/Private exhibit of authentic specimens from around the world that are both unique and rare. This exhibit features fossils from various locations around the world that will rotate in and out of the display every month so visitors can have a unique experience each time they attend. This is a real perk for season pass holders. We currently have two dire wolf skulls, several full dinosaurs, a huge variety of fish, turtles and birds, giant palm fronds and many other incredible fossils on display. Stop by the museum and see one of the most fascinating groups of fossils anywhere on earth, and buy a fossil fish from our quarry. Stunning Ancient "3 Toed Horse Fossil"
This is a one of a kind treasure straight from our quarry in the green river formation in Southern Wyoming. Named "Olive" after the Oliver brothers that discovered it, this is one of the most amazing items ever to be discovered anywhere in the world. The story of her discovery is amazing and is a fascinating piece of Lore that will awe people for generations to come. Read the entire story here on our site. Check out our Spotlight page for more information on this incredible animal and to get more details, including pricing and official purchase information. 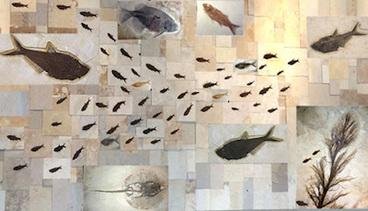 Custom Fossil Fish Murals are now available here. 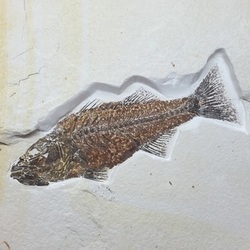 These murals are custom made and can be done using real fossils, or a combination of real fossils and high end replicas to save you money and create a masterpiece for your home or office. Due to the large number of requests we have for custom fish murals, we have now added a new section that provides pricing and allows our customers the chance to design their own custom pieces working with our experts. 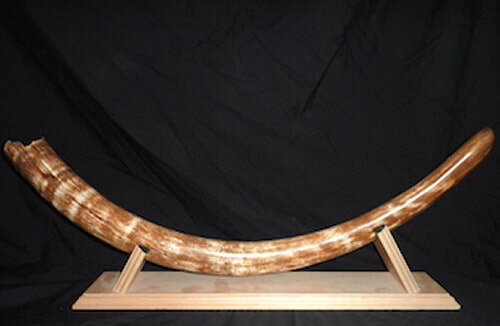 These are one-of-a-kind pieces that meet the needs and desires of our customers and are totally unique and not like any others because you design them yourself. These can be built to fit any need or budged, it is up to you. You, as the customer, are in control of not only the size of the project, but also the cost. Check out all of our other great items as well, including tiles for the bathroom and shower, and back splashes for kitchens and bathrooms. We are now doing completely water proof tiles upon special request. These beautiful tiles are a great fit for showers and can be custom made in a variety of shapes and sizes. They are like nothing else you will find anywhere on earth. Real fossils for real homes. Remember, at Fossil Shack, shipping in the United States is just $6 on all orders you can choose to upgrade to priority mail for just a few dollars more. Be sure to take advantage of these great rates on shipping. We currently ship all packages in the USA with the United States Postal Service and use First Class and Priority mail. For those ordering from outside the United States, we strive to keep shipping as low as possible and if there is any over payment of shipping, we will refund it to you right away. Check out our fun and exciting social media for more fun happenings at Fossil Shack. You can see what incredible things we are working on every day, including lots of pictures, and even video. Also be sure to follow us on Facebook, instagram and twitter for up to date information on what we are currently working on. Click Here!